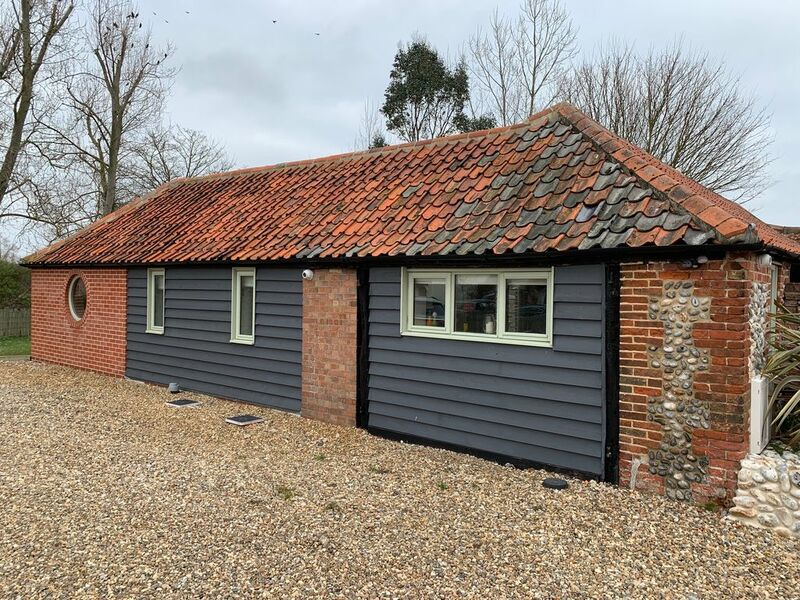 A luxurious and well equipped 3 Bedroom Barn in the beautiful seaside village of Winterton-on-Sea. Sleeps up to 6 guests and up to two well behaved dogs. There are two large King Sized bedrooms, one with ensuite, and a single bedroom with adult sized bunk beds. The living and dining area and kitchen are open plan, comfortable and well equipped with access to a fully enclosed garden. Little Tern Cottage has 2 dedicated parking spaces and is within a few minutes walk of the beach and amenities.